An investment, because that is truly what it is. It is an investment in your family's memories. Memories in time that can be carried on, from generation to generation. It's something to plan for, save for, and treasure for a lifetime. Please note that sessions are limited. At this time, I only take no more than four sessions a month so secure your spot ahead of time. A deposit of $150 is due at booking to reserve your session. This session always takes place in your home. Usually done within 2 weeks of birth but later is fine as well. There is minimal newborn posing if any at all. In a way, it's similar to a family session with focus on the new baby. I prefer not to use props. 1.5-2 hour shoot in your home. Professional hand editing by Agnes of minimum 40-45 images. Print release of all images. Your high resolution photos delivered in an online downloadable gallery within 2 weeks. 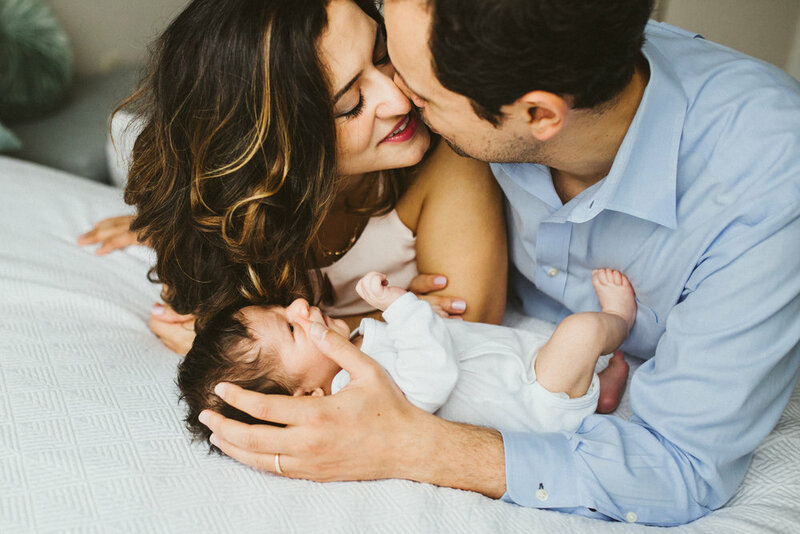 This is not a traditional newborn session but a time to capture the first beautiful moments with the addition of your baby to your family. Session takes place either in hospital or place of birth. Sneak peek in 1-3 days on Instagram and/or Facebook (or privately by email). Includes up to five family members (there is an extra charge for more than six people unless immediate family). Maternity Sessions are priced to cover a shoot with Mom only or Mom & Dad together. 30-40 minute session on location or your home. Professional hand editing by Agnes of minimum 30-40 images. Maternity and Lifestyle Newborn Collection $870 - most popular! Includes a full Maternity Session and full Lifestyle Newborn Session. See details above. Includes full Fresh 48 session, full Maternity Session and full Lifestyle Newborn session. See details above. Agnes offers limited and selective coverage for small weddings, birthday parties, showers and other small events. Fee includes up to two hours of shooting which typically yields minimum of 100 images. If you need more time, please feel free to discuss. Your high resolution images will be delivered in an online downloadable gallery within two weeks. Thank you for considering my work! !